My childhood and early adulthood are that of an average female in the UK. I was a happy baby, two years later a small sister arrived, and then I was on the well-trodden path of school, (a brief separation between my parents), university and work. It was a pretty normal start to life, and I retain a memory of feeling safe and loved by my parents. But as I grew up I realised that we had never been a very ‘touchy-feely’ family and I was poorly equipped to deal with adult emotions and honest communication. I also realised that something was missing. I tried hard to establish myself as an adult, find my direction, and forge a lifestyle, which didn’t only pay my bills, but also fulfilled my soul. I now see that all of my attempts were futile because I was missing one vital connection – myself! How could I find what made me happy if I didn’t know who I was? Twenty years on from those first stumbling, confusing steps into adulthood, now in my 40s, I look back at multiple failed relationships, a miscarriage, an abortion, the traumatic death of my dear mother, far too many futile, stressful hours of working in the unforgiving world of PR in London, chronic illness, and a physical, mental and spiritual breakdown. Crisis can often be the birth of renewal and spiritual awakening – the cloud with its silver lining - and this was how it was for me. My first crisis came in the form of ulcerative colitis, a stress-related digestive disorder causing bloating, pain and often bleeding in the large intenstine. As I sat listening to the doctor tell me there was no cure, and that I could manage my symptoms for the rest of my life with medication, including steroids, a small voice inside of me said: “This is wrong – for every symptom there must be a cause, so if I find the cause I will find the cure.” This was the beginning of my journey, and hindsight has taught me that my illness was the best thing that could ever have happened to me. It began my journey back to ‘me’. Through acupuncture, nutritional therapy, meditation and yoga, singing and dancing, and lots and lots of crying it dawned on me that the illness was the culmination of years of self-abuse. I’m not talking about the obvious, physically damaging abuse such as self-harm or drug addiction, simply the fact that I was unkind and unloving to myself. I’m sure you can recognise some of the incipient, subtle ways we all fall victim to ‘unlove’, in some shape or form, as ways of coping in modern society. These unloving behavioural patterns have become so accepted that we perceive them as ‘normal’, ‘functional’, even ‘successful’ ways of living - poor eating habits, over-exercising, over-working, binge-drinking, looking for love in all the wrong places, compulsive shopping, constant negative mental chatter of not being ‘enough’… the list goes on… All of this had been the backdrop to my 20s and 30s and had left no room for compassion, gentleness and self-esteem. No room for ‘me’. The pain of totally falling apart enabled me to see myself in a new light, the wounds I had so carefully kept covered for fear of being vulnerable, were broken wide open so I could no longer ignore them. There was no more pretending or putting on a brave face. It was time to face the truth. While tough and painful, it enabled me to put myself back together in a more loving, wholesome, meaningful way. 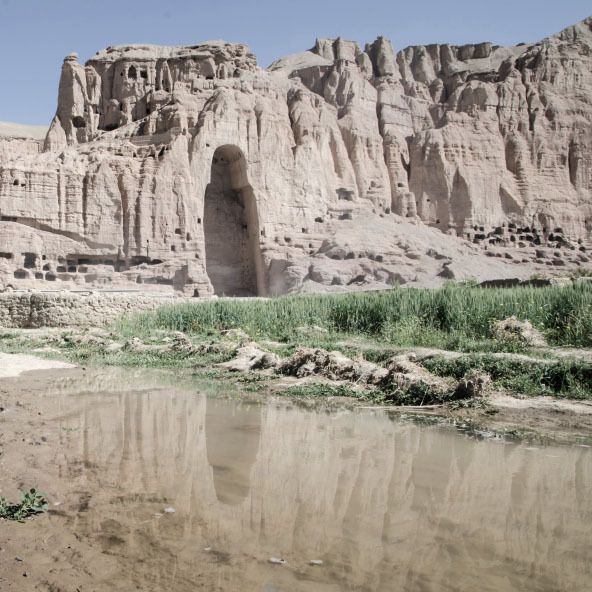 I remember watching on TV as the ancient Bamiyan Buddhas in Afghanistan were blasted into smithereens by the Taliban, and feeling a crushing sense of helplessness, but of wanting, needing to do something more meaningful with my life. Somehow this destruction of such a universally powerful symbol of peace was more wanton, more compelling for me than all the human suffering caused. Even today I’m not sure why, but I suspect it was the early dawn of my spiritual awareness. The final nudge towards making the most profound change in my life came in the form of a perfect, beautiful baby boy. My sister gave birth in October 2004, an event so joyful for the family, yet, due to my miscarriage a few years earlier, one so unbearably painful for myself, that I decided to take myself off for a week of peace, space and contemplation before returning for a festive and truly celebratory family Christmas. 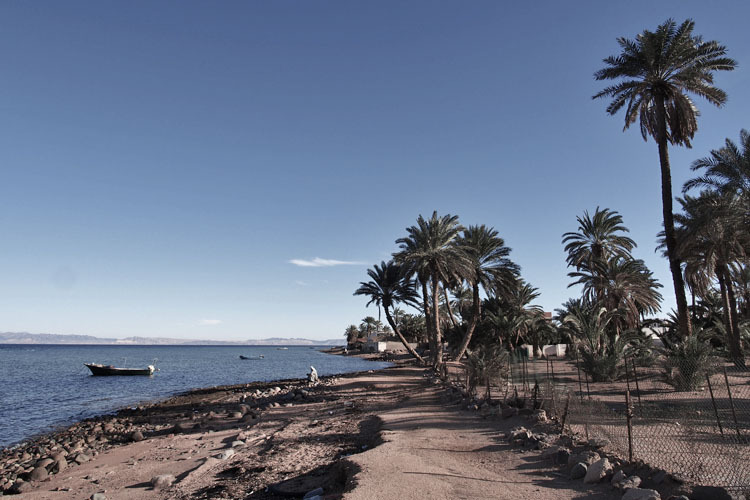 I came to Dahab, a small, peaceful Bedouin town nestling between the sandstone and granite mountains of Sinai and the impossibly turquoise waters of the Red Sea; a haven for divers, yogis and anyone looking for peace, quiet and relaxation. For all its randomness, I decided to trust it. It felt right. It felt like my truth. By this stage I had been practicing yoga for almost two years, had qualified as a teacher and had a regular self-practice. Part of the purpose of personal practice is to trust our intuition, which is precisely what I did. I promised myself ; no ‘Pros vs Cons’ lists in my journal over a cup of tea, no long debates or quizzing friends, no agonising about ‘What if…”. 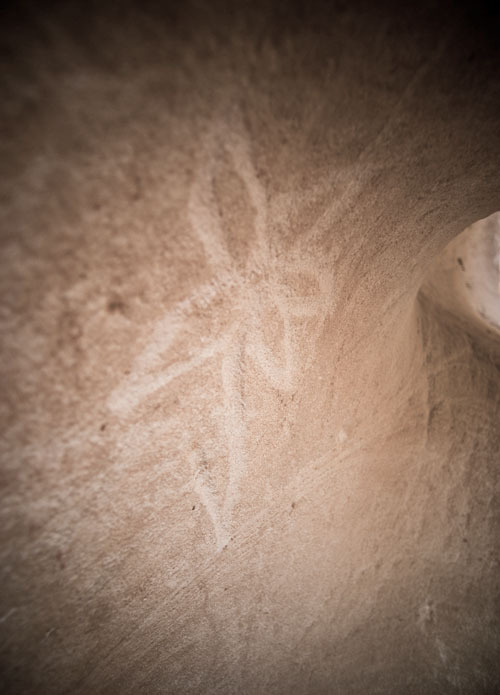 I felt complete, profound trust in that voice I had heard and decided to take a step into the unknown. If it didn’t work out, I would be fine. If it didn’t work out, there would be another option. If it didn’t work out, the worst possible scenario was to return to the life I was leaving – maybe with my tail between my legs but with the satisfaction of having tried. Letting go of having to succeed enabled me to let go of my often-crippling perfectionism, and just allow the experience to unfold. I let go of all the paralysing thoughts that would have held me captive in my London life. I let go of the fear that I would cease to exist if this crazy plan of mine failed. I was ready to step out and do something different, something seemingly crazy to all the bystanders and on-lookers. It was something that to me felt completely and utterly right. I had been living in Dahab for a just over a year when I finally gave into a friend’s persistent pestering that I take up freediving so that I could be her safety buddy in the water. I had resisted, reluctant to chase any kind of numbers so soon after releasing myself from the London rat race. But the freediving bug bit me and more or less nine months of training later I had three World Records in the sport of deep breathhold diving, becoming the deepest woman in the world. That inner voice as I sat on the horse had known something back then that I could never ever have foreseen, planned or executed through my own intellect. I had not only found my home, I had found my path and my destiny. This is not to say that life has been plain sailing since then. Life has continued to throw challenges at me, and I don’t expect her to stop any time soon either. I have faced some of my greatest challenges, and discovered darkness I didn’t know could exist in my heart since that ridiculous heady high of my first World Records. Just seven months later, my mother died after 18 years of intense suffering, and my father and I were investigated for assisted suicide, held in limbo for four long months before being cleared. I was simultaneously threatened and blackmailed by the project manager I had entrusted to build my new home for me in Dahab, and in this state of intense vulnerability and fear, searching for someone to protect me, I became involved with an abusive man who completed the process of unravelling me once more. But the thread running through all of this change, this challenge, this heartbreak and these highs, and moments of feeling that I simply could not go on, has been my yoga practice. Sometimes I have felt too weak, too helpless, too lacking in energy, motivation and self-belief to sit on my mat. But by taking things one day at a time through the darkest periods, I always eventually found my way back to my mat, and on my mat I found my way back to my strength, to my heart, to my inner voice that knew all along that I would be fine. I discovered again and again that this was just a phase I needed to go through, to grow through. I discovered that the less resistance I put up to the challenges, the more easily I would slide through them; the less energy I expended on fear and anxiety, the lighter the journey would be. I discovered that I have depths I am unaware of. And I am sure that what I have experienced so far is just a drop in the ocean of what is possible. And this is the story of us all. We are born, we are filled with pure love, enthusiasm, spontaneity and joy, and slowly, life wears us down. Life makes us stop believing in our dreams, life makes us think that ‘this is it’, that we don’t deserve more, we don’t deserve to shine as we once did as children. And this is simply not true. Life is the most precious gift, and we have to honour that gift daily, by living the fullest, most exciting, daring, courageous and fulfilling lives we can imagine – shaped not by our rational, sensible, adult intellect, but by our crazy, limitless, unedited childhood imagination, that hasn’t forgotten how to dream.